Buildup of Grease & Soap Residue (also called sludge). Grease stoppages are due to a gradual buildup of small amounts of grease over the years. Numerous foreign objects: Hair & Lint, Feminine Products, Paper Towels & Baby Wipes. Bad installation or ground settling causing low spots, inadequate slope or breaks in the line. Preventive measures can often be taken to reduce or eliminate stoppages. Listed here by problem area or fixture affected are the typical problems and specific measures you can take to avoid, prevent, or solve them. All drawings are used as examples only and are not intended to represent the uniform plumbing codes. 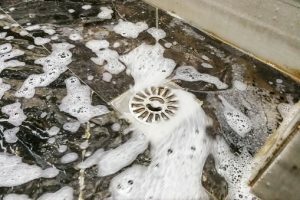 Blocked drains can cause a wide range of bad problems. From persistent odors to messy leaks, blocked drains & sewers need to be cleared as soon as possible it is an unhealthy situation! Frank Alvarez & Sons Plumbing is a team of dedicated and fully insured specialists who can clean blocked drains, pipes, sinks, showers, septic tanks, grease traps and more. 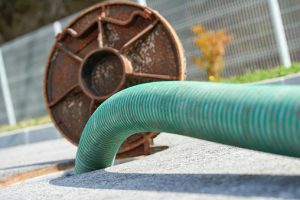 Based in East Brunswick, New Jersey, we also serve the surrounding areas in Middlesex, Somerset & Monmouth Counties and ensure that your drains are running smoothly & efficiently. Our professional team is fast, dependable, and highly experienced. We offer qualified expert services with results that will make you happy. Frank Alvarez & Sons Plumbing provides comprehensive drainage solutions, for all residential, commercial & industrial properties. Speak to our expert team in today. With fast, efficient service, we’ll take care of your problem swiftly and will clean up after ourselves. For hassle-free service and clean, clear drains, contact Frank Alvarez & Sons Plumbing today. WE WILL PROVIDE FAST RELIABLE SERVICE! !